Christmas is around the corner and Playstation (via our buddies at Numskull) comes bearing more gifts for the gamer in need! 20 Years on - The Playstation is still looking cool for a another merchandise review for www.numskull.co.uk . Here on this review we're looking at the Sony Christmas Jumper and Playstation official coasters under the www.numskull.co.uk brand. The range of gamerwear, clothing, gifts, merchandise and also Sony Official goodies www.numskull.co.uk now develop - goes further and wider than these items we've featured here too. We'll be bringing alot more from www.numskull.co.uk Some goodies already available, plus new gaming merchandise concepts not even released over the coming months and weeks. 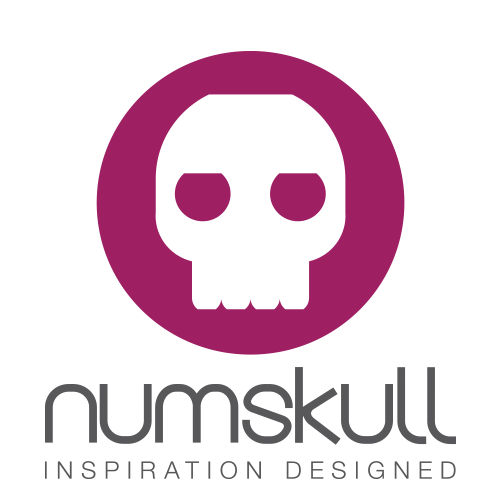 www.numskull.co.uk specialises in creative, exciting concepts that it develops into products released to gamer fans the world over. This time it’s all about a nice cosy Christmas morning. What could be better than some cool coasters for your egg nog (or just a cup of tea / coffee / cocoa) to rest on – and a snazzy jumper to relax back in after a big Christmas dinner. The guys at Numskull have done Sony proud yet again with two cool quality products and a design that makes us wanting more! Gift One: The Playstation Coasters What can we say about these groovy additions to any game room. They are representing some seminal games from Playstation here. Not only that they look great all lined up together as a coaster ‘set’ Parappa the Rapper is a classic title and one of the best from this lot. Gran Turismo is smart and slick and for the petrolhead gamer in you it's a lovely design. Destruction Derby – probably our least favourite design of the four - but a great game and still its a pretty cool cover. To top it all however - is the legend of a game that is Wipeout – everything about the game and design of the graphic and imagery on the cover is late 90s coolness. The backs off the coaster also reflect the back of a typical case cover - a nice detail and touch. So show your gaming table or sideboard some love and get these spread out just as you’d display the real thing. Gift Two: The Playstation Jumper Now it’s nearly Christmas and what would a day round the family dinner table be without a Christmas jumper?! This Playstation inspired one tops them all. It’s bright, fun and will make you stand out.The large is a pretty nice fit too if you’re a 42” chest – not too baggy or snug – a good fit. A festive crowd pleaser for sure and you can’t not love what Numskull have done with the design here. Its all triangles, squares, exes and zeros with reindeers all mixed in along the way!